According to the latest data from comScore, Google+ users spent an average of 3.3 minutes per month on the social networking site in January. To put that into perspective, Facebook users spent an average of 7.5 hours last month which is about 136 times greater than your average Google+ visitor. Google quickly downplayed comScore's findings. The search giant claims their own internal data shows higher numbers and that Google+ is growing. Also according to comScore, Linkedin, MySpace and Twitter all out-classed Google+ in terms of time spent on the website per month. Users spent 17 minutes on Linkedin, 8 minutes on MySpace and 21 minutes on Twitter last month. Although Google+ visitors are seemingly stricken with poor attention spans, what may be more worrisome for Google is that the attention deficit continues to grow. In November, Google+ users were spending an average of 5.1 minutes which slipped to 4.8 in December and 3.3 in January. Where time spent on Google+ has been declining, Facebook has been prospering. In December, Facebookers logged an average of 7 hours on the site only to gain yet another 30 minutes in January. Facebook's increase between December and January alone is nearly 10 times what users spend on Google+ for an entire month. 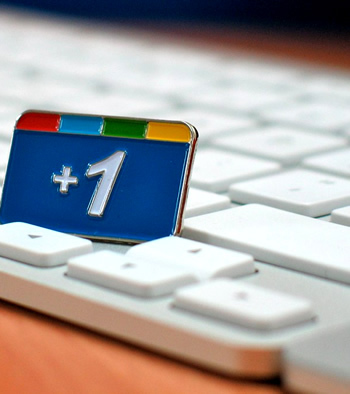 At the beginning of February, Google+ announced it surpassed 100 million users. While that's certainly a large number, Facebook is by far still the most popular website of its kind. Zuckerberg's company lays claim to a whopping 845 million "active" users, 480 million of which use the service on a daily basis.